The property was spacious, clean and well-maintained. The view was also beautiful. The access to shopping center was also nice. The Wifi, however, was very poor. We could rarely make sustaining connections. When I tried to address it with the agency, I was given instructions on contact Spectrum. I was told that a property this size should have two routers but I found only one. Nonetheless, we enjoyed our stay and the beautiful weather. Wide clean,and not expensive ! Great location great views and very spacious. The rental was clean ,large and the views from the balconies excellent. There are viewing choices from the balconies from city to mountain and even a peek at the ocean and marina. I think there are 5 different balconies. The management company communicated well and promptly answered our questions. 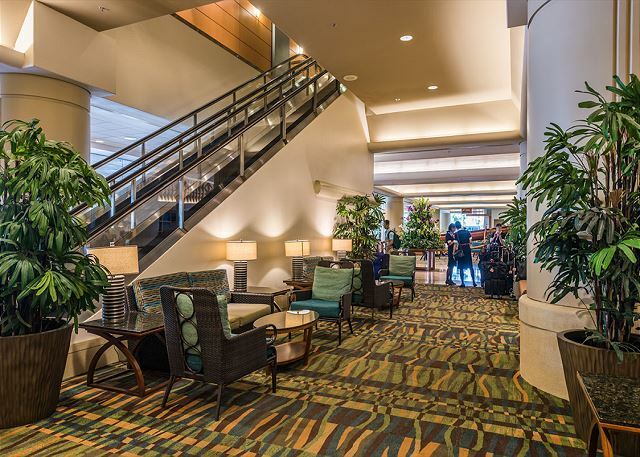 The hotel is right next to the big mall which is very handy, the hotel has a Starbucks on the main floor and a steak house on the 36th floor with good service as well as food.The valet parking is prompt and priced reasonable. 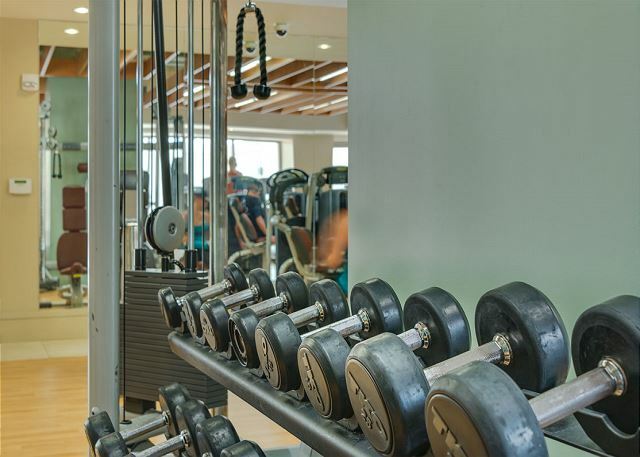 Also a well equipped gym and a pool on the third floor. Beautiful! Spacious, breathtaking view, convenient location. Close to center stage performances, close to shopping, waking distance from restaurants. Clean and well maintained. Loved it! Recommend it. Hoping to reserve this beautiful place again. g'd view, convinient location, large and clean room, etc. much much better than my expectation. best condo i've ever stayed. one dissapointment was i couldn't get extra bed cuz it was not a part of the hotel & i couldn't get those services from the hotel, but still way satisfied concerning its price. Second time renting this location. Improvements in the amount of cooking supplies, namely, pots, pans and utensils. However, if you plan on having more than 6 ppl for dinner make sure they bring paper plates and cups. Woefully under supplied in that area. 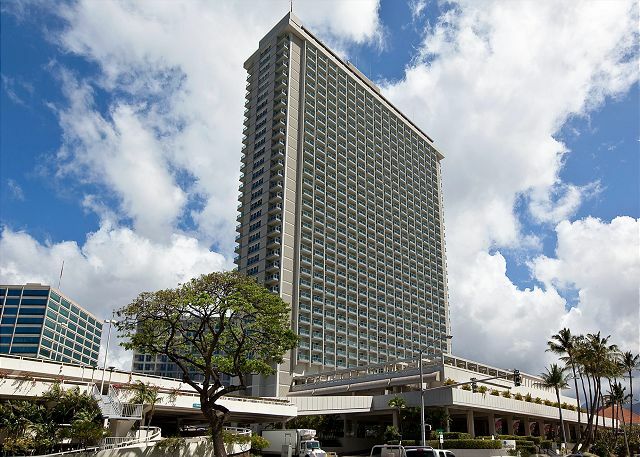 Still a great location near Ala Moana Shopping center, the Convention Center and Ala Moana Beach and Waikiki. A lot of construction going on in the area so was difficult to get parking. We were renting a Suburban(family of 7 on vacation w/golf clubs, etc) and it doesn’t fit in their parking garage. As a result no Valet service available. Needed to park on the side street. They did provide a space but the door to the outside is locked from 10pm-6am and need to go through the front entrance. Not a big deal but a little more effort especially if carrying groceries from store at that time of the morning. Will definitely stay here again if coming with our family. Amazing. One of the best views anyone could ask for and with such a big group it was so accommodating. A wonderful 4-day stay. The room was great and working with GAIA was easy. When i checked in, i thought that the internet wasn't working so I called, and thought: I wonder why no one is answering the phone? Then it occurred to me that it was SUNDAY. Nevertheless, someone answered the message that evening and offered to fix the problem the next day. The problem resolved itself, but I was impressed to get a response on a Sunday. Well done! The condo was very spacious and larger than expected. Very clean and had everything we needed. The location was perfect. Would love to stay there again. This place is situated next to Ala Moana Shopping Center where they have lots of places to eat at and great shopping. The Rental has a lot of space for all 5 of us and we have been coming here for the last 5 years and plan to be back next year. It’s great because you can do laundry and not have to pack as much. We love it. Third time stay and again an excellent stay! We stayed for the third time in this suite in a time of 4 years. We really enjoyed our stay again because this suite is hard to beat. Everything onsite which makes it easy with kids. 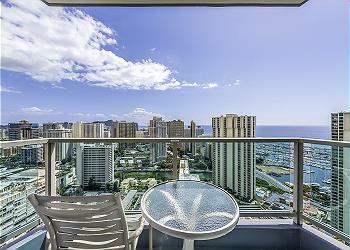 Location is excellent and can easily reach beach, Ala Moana SC, Waikiki, etc. Hotel also has basic swimming pool. One remark for the property owners, please consider to renew the shower curtain in the Master Bedroom bathroom. It is mouldy and smells. We traveled with a party of 8 and found the condo to be perfect for our group. Great location! We walked to the mall each day for shopping and eating. There are several resturant MSE located there. 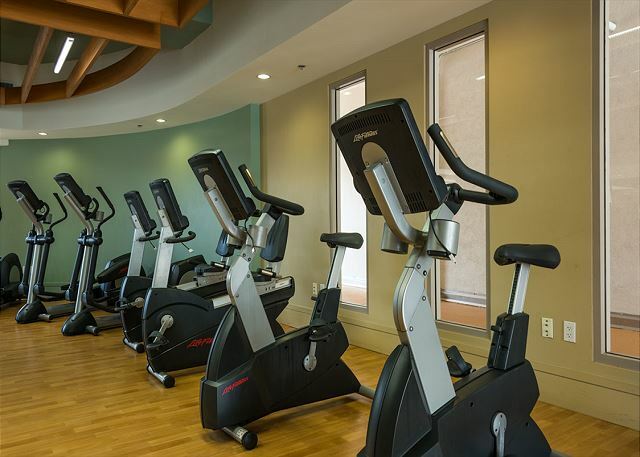 2 blocks from the state park beach, reasonable parking rates & reasonably priced breakfast buffet in the lobby. We had adequate linens that were not worn as we read in earlier reviews. We recon owns this property and will choose it for our next stay. Thank you very much for your comment. We look forward to seeing you again soon! the Royal suite at the Ala Moana hotel was excellent. The room was clean and inviting. I would highly recommend this vacation spot. 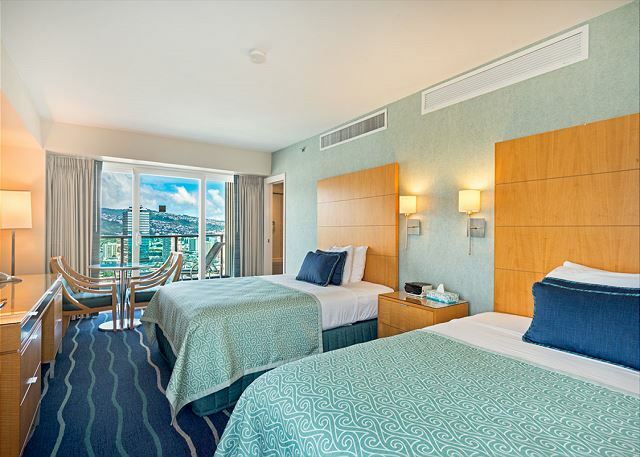 We are happy to know that you enjoyed staying at the Ala Moana Hotel. Thank you very much for choosing us! Hope to see you again soon! It was a very nice unit and we had a great stay. There were in fact 5 balconies with great views from many angles. Don't freak if you see small insects ocassionally. Just wash things out before you use them. You should expect these things in a topical location. The air system worked well but intermittently was loader in the entrance area. In your room, if your air system is on, you won't hear the intermittent loudness. The location is great. An easy walk to central Wikiki at a more reasonable price. Wonderful access to Ala Moana park. If you get a late checkout, make sure you tell the front desk upfront so your key will be programmed properly. Everything was exactly the way we wanted it. Went home for our annual family picnic at Ala Moana Park w/family of 7. The location was perfect for us. Kids enjoyed going to the Ala Moana Center to eat at Shirokiya and Foodland. Easy walk to the picnic. Furnishings are great and views are spectacular. Only downside is the kitchen utensil/cookware and plate situation needs improvement. There isn't enough plates for 7 people and we went out to get paper products. More Skillets/Pots/Pans would be helpful. Also, some type of knife sharpening utensil would be handy. All of the knives were dull. Small, easily fixable remedies to make this property A-1. All in All we would definitely return next year. Place was more than enough space for my family and I! We enjoyed the fact that we had two separate rooms and bathrooms! Wished we used the kitchen and living room more. Will definitely use Gaia Hawaii Vacation Rentals again! Wished the wifi was stronger but overall would highly recommend to my family and friends. The condo was very nice and comfortable with great views. I enjoyed staying there. Great location. There is an issue with the WiFi which did not work in the larger bedroom and occasionally does not work in the rest of the condo. The hotel had no record of our peepaid reservation with Gaia. The Gaia representatives contacted while we waited at the desk were incompetent and uninformed. The unit, which we have stayed in 3 times every year for a few years now still has furniture that is in dire need of updating. Efficient. Great experience. Could we contact the owner of this apartment about future visits? 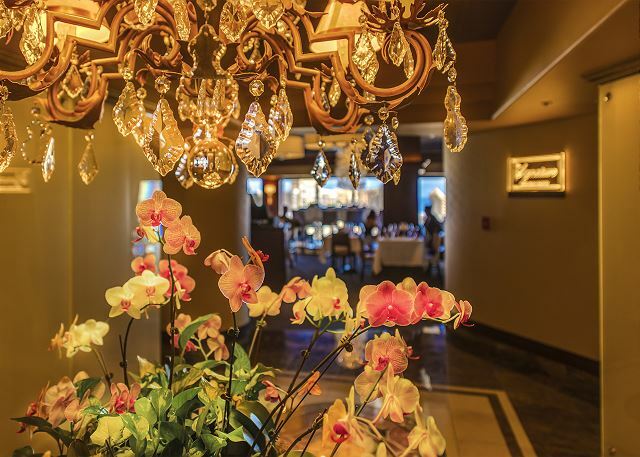 Comfortable and spacious with many accommodations and amenities. This is a very spacious, secure and convenient 2 br 2 ba condo with mountain and some ocean views. We have been renting this unit 3 times a year for 3-4 years. The furnishings need updating, or at least some deep cleaning. Providing hotle style toiletries is a nice new touch. We'll be back soon! This property is one of the nicest and value for $$ rental around this price bracket we have had the pleasure to enjoy. The views are breathtaking day and night, the location although not right in the main area of Waikiki an pleasant walk or about a $10 (USD) taxi fare home. The hotel has a ramp to great shopping mall with all the big and small names plus restaurants and bars on upper level of mall. The property was clean, provided plenty of towels and bathroom amenities. The only thing I would advise is that you do need to consider if you are cooking/eating here as you will need to bring salt, pepper, sugar etc. as eating and cooking items only provided but the mall has a shop that you can buy these things if needed. The communication with Hawaii 5 0 rentals was also excellent and had no issues checking in. We didn't go to the pool so can't comment but gym was excellent as well. In summary, would not hesitate to recommend or stay here again. 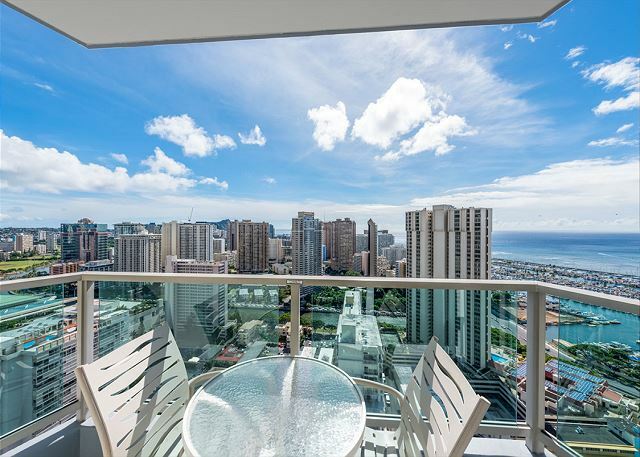 If you want to be in the main beach strip of Waikiki you may need to reconsider but then again you won't find anything like this for such a reasonable price. Loved It! We have stayed in this suite three times now. This time we did experience some problems with the lamps, which were addressed by the maintenance manager onsite, and also with the Lanai Doors in the Main Bedroom. I contacted Sabrina at Gaia Resorts and let her know that a previous customer had wedged bath towels in the door cavity to reduce the draught and wind noise. She organised for the maintenance manager to review the problem. He visited but said that the matter would need to be addressed by the building window contractor, as it would still be covered by warranty. I followed up with Sabrina and she told me that she was having difficulty in getting a response from the window contractor. She provided a further update that she still had not heard from them a few days later. I rang to get a final update before we left the suite. She stated that the contractor would not be able to fix the problem until sometime in Nov. 2016; well after our check out date. I asked if any refund of our accommodation costs would be possible and we were granted a $200 discount on the about $6,000 we paid for our 10 night stay. My concerns are that the room was sub-standard to our expectation and we should have been offered a refund rather than having to ask for it. I also believe that the refund provided should have been greater due to the inconvenience that we experienced from day one and for the whole of our stay! 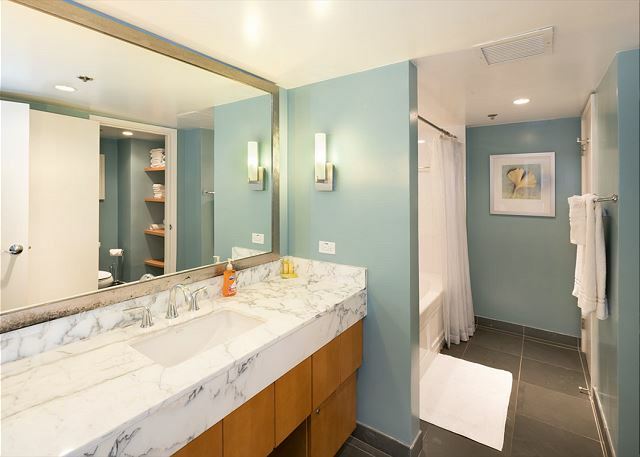 The pictures are great, but they do not do this condo justice. 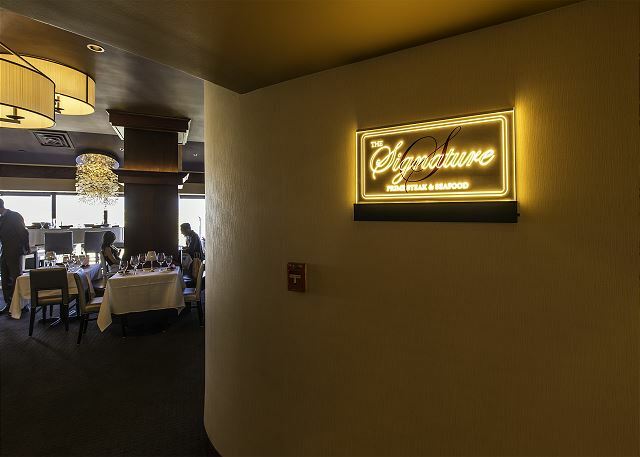 We were pleasantly surprised at the spaciousness, amenities, 360 degree views and cleanliness. 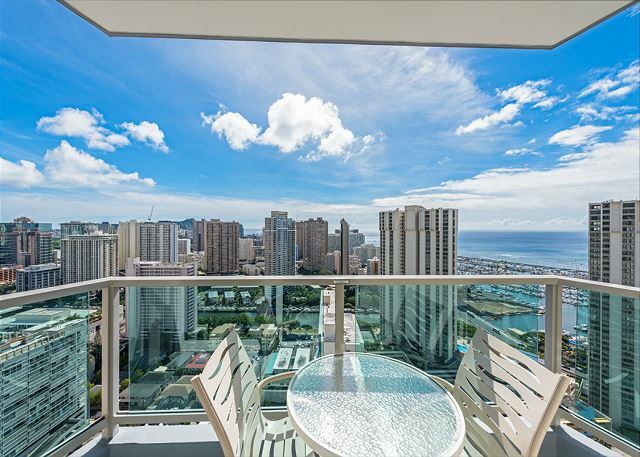 Not to mention fabulous location to everything in and near Ala Moana. We stayed in Honolulu for a few days to adjust to the time before adventuring much. The accommodations were nice except for the howling window that impacted my sleep. Best location and great views. We have stayed at this hotel 3 times a year for several years, almost always in 3326. LOTS of space, beautiful views, great location to beach, shopping and eating. The carpet and some furniture are nicely updated. Only wish that they would replace the couch and pillows in the living room. Otherwise, it's perfect! Second stay and again a perfect family stay! 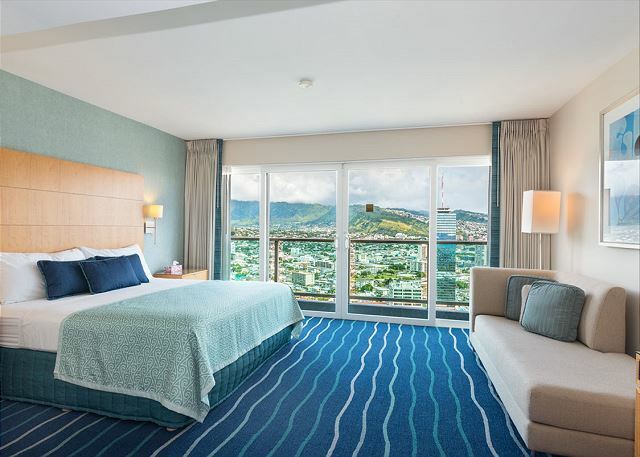 The suite is a perfect place to stay if you want to avoid the busy Waikiki area. Ala Moana shopping centre very close by. Views from the suite are unbeatable. Two big bedrooms. Two bathrooms and one toilet. Bed in master bedroom sleeps very well! Suite has washing facilities onsite so very handy when staying with children. Kitchen has basic utensils to prepare meals. Great fridge, oven and microwave. Overall a place once used you will return! We will for sure come back. Arrangements from Hawaii 5-0 were also spotless! Property as described. Very spacious. 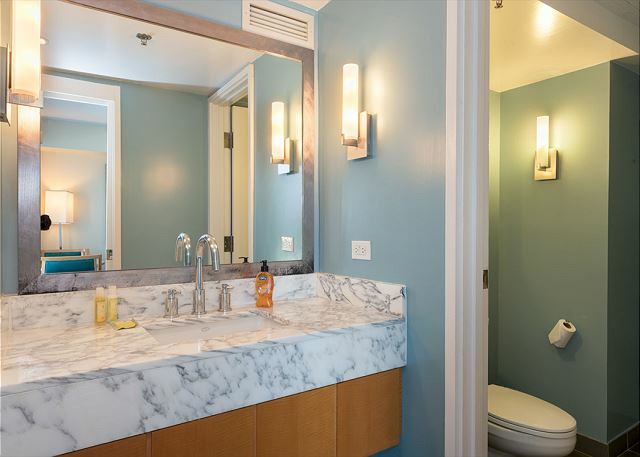 Ample bath towels and linens. Everything in good working order. The unit was vey clean (except for some crud under the sofa cushions). 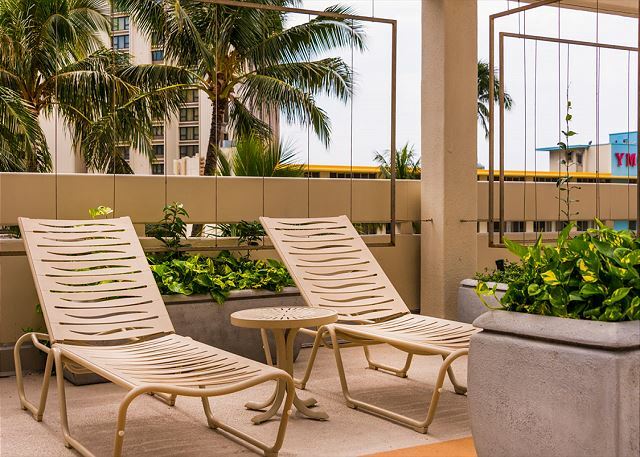 Great location, walkway to Ala Moana Shopping Center, walking distance to beaches, Waikiki. 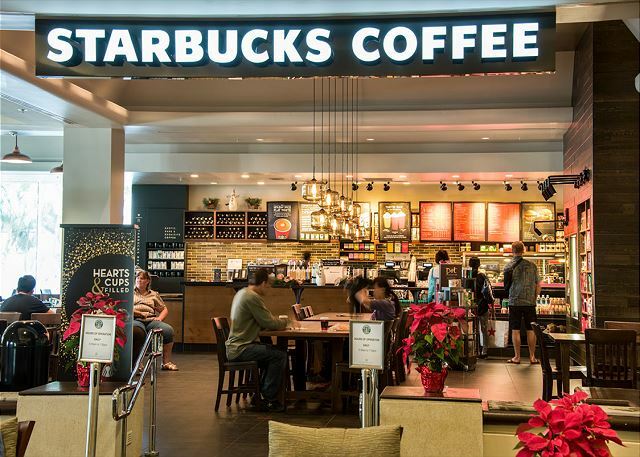 It was awesome that there was a Starbucks in the lobby. Overall, outstanding! I would definitely stay here again. this is my second visit. I love staying here. But the carpet is badly stained, the pillows need to be changed, the knives need to be sharpened. I wish the frying pans can be of better quality. Thanks for hosting our family of 6 on our recent Waikiki trip. The apartment was amazing, very big, amazing views and really comfortable beds! Well equipped and excellent staff. Whilst it was a longinsh walk to Waikiki, suited us as had the Ala Moana beach park about 10-15 minute walk away which was great and then the option of a trip to Waikiki, happy to be away from thehustle and bustle. As I have a son in a wheelchair, it was fantastic that the pool in the Ala Moana had a hoist. The bathrooms not particulalry accessible but we managed. All round great stay and made our trip very enjoyable. 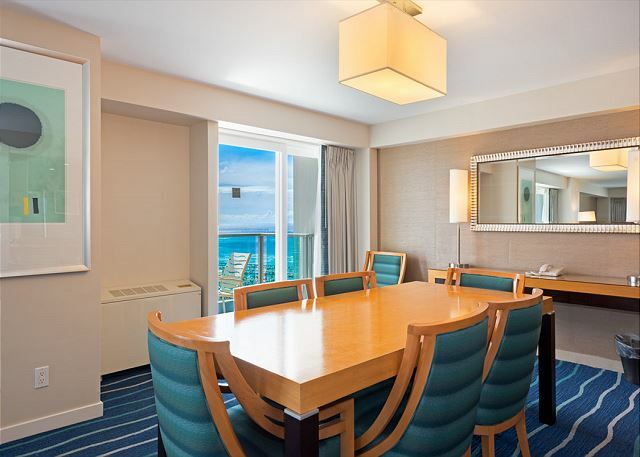 We always stay at the Ala Moana Hotel in one of the suites offered by Hawaii 5-0 Vacation Rentals and usually have only excellent comments. However, on this particular stay, the carpet near the dining and kitchen area and the kitchen floor were in need of serious cleaning. Other than that, we were very pleased with the entire experience, as usual. Mahalo, Hawaii 5-0! the rental property far exceeded our expectations. I wanted a 2 bedroom suite so the two families traveling together could stay together. There was plenty of room for us four adults and 2 children. Views were great! nice and clean! Wonderful time with amazing views always!!! 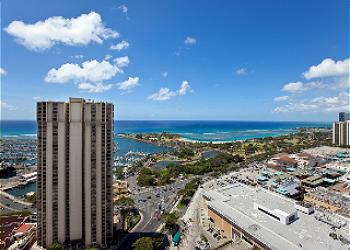 If you are lucky, picturesque rainbow, Diamond Head, and ocean from Waikiki to Ala Moana welcome you. One minor thing, we had to contact to Hawaii 5-0 Vacation Rentals due to three lightbulbs in the 2nd bathroom blew out. They were, however, very helpful to call maintenance immediately. We strongly recommend this unit and would like to come back in the near future for our enjoyable vacation once again! My husband and I stayed at this rental for 2 weeks with our 2 young children and my parents for the second time, and it did not disappoint. The location was ideal - short walk down to Ala Moana shops/restaurants/park/beach, and a short drive to zoo/aquarium/Diamond Head. This was also a family reunion, and the unit was the ideal gathering place for dinners - lots of seating and full kitchen. Also, we were able to ship some baby items to the property management company before our arrival, which was extremely convenient! Thanks for a wonderful and relaxing vacation!! We were pleasantly surprised when we got to the room. I will say the pictures are just a glimpse into the beauty of this property. The only thing we needed to bring with us was seasonings and food for cooking which was a definite plus! I was shocked that they even provided a rice cooker which goes over huge with the local community. The amount of space was definitely more than my 3 bedroom home provides. 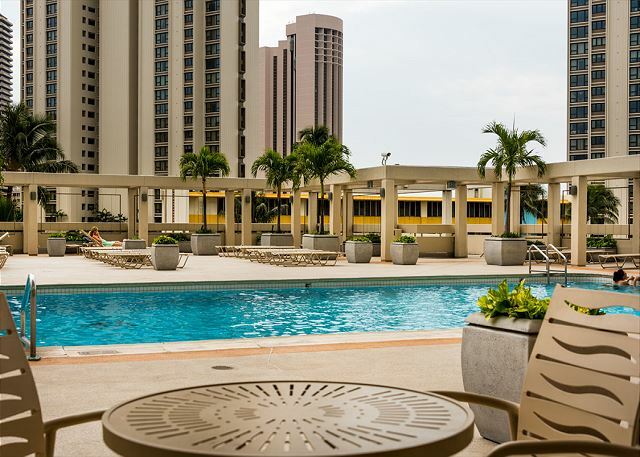 Our children loved the pool and the convenience of being connected to Ala Moana Shopping Center made our stay enjoyable. Mahalo! 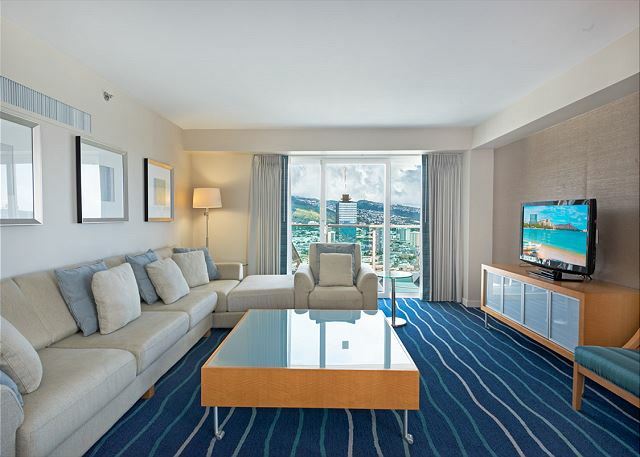 We chose this suite because it was 2 bedroom/2 bathroom and we didn't necessarily want to be in the Waikiki area. The suite was amazing! Each bedroom had an ensuite plus there was an extra toilet/laundry. The living area was huge with a large dining table and a good kitchen. It was all very clean and I actually liked the fact that no cleaners came in until we left. There were plenty of towels provided and if you wanted rubbish collected, you just had to call housekeeping. The kitchen was well equipped and even had an electric jug which is rare in America. Views from all rooms were amazing. 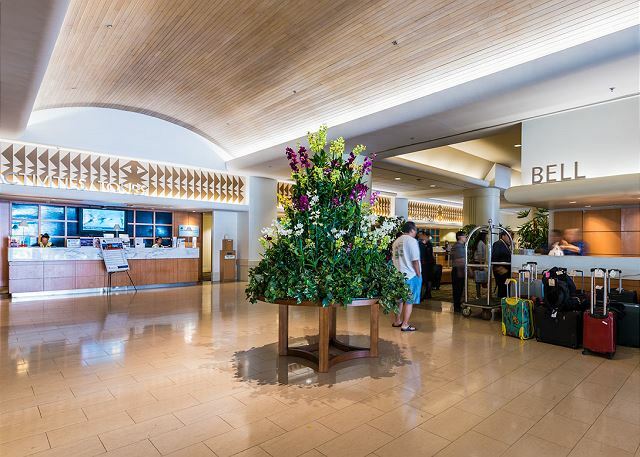 The hotel is located right at the Ala Moana Shopping Centre and you had access via a ramp and carpark. The nearest beach is at Ala Moana Park which is a 10 minute walk and this is beach where the locals go, especially on weekends, so it's not your usual Waikiki experience. We loved walking around magic island, both morning and afternoon as it's a great place to watch the sunset. There are many choices of eateries in the shopping centre, including the Food Court, plus more restaurants on Kapiolani Blvd including Shokudo Restaurant which our local friends took us to. We did find the suite was quite noisy at night with sirens, road noise and garbage collection, maybe because we were so high and in the middle of a few busy roads. It's a shame it isn't more sound proof. Check-in at the hotel was easy and staff friendly. The concierge seemed to want to push the tours that she promoted rather than help us to find our own way to attractions. She gave us incorrect information on where to catch the bus to the Art Gallery and it was only because we had local knowledge that we didn't end up completely lost! The pool was also freezing and maybe should be heated for winter. We would recommend this apartment, especially to families and anyone wanting to shop! A very well appointed and user friendly family suite. This was our second stay here and we enjoyed it just as much the second time areound. We had a very enjoyable stay. We were very happy with the suite. It was perfect for two couples sharing a space.There was plenty of common space as well as private areas. The views were fantastic. 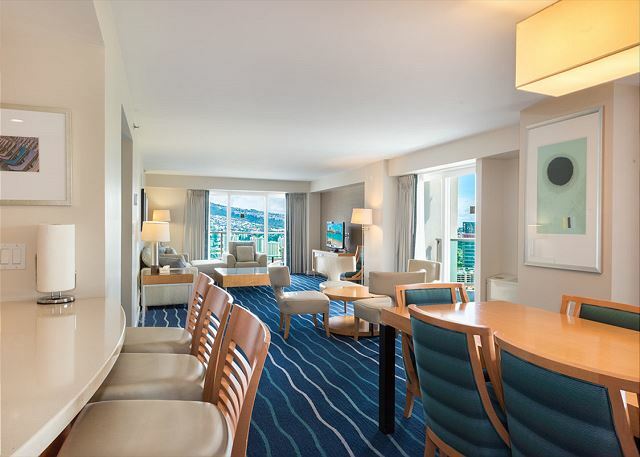 Overall I would highly recommend the Ala Moana in general and this suite specifically. 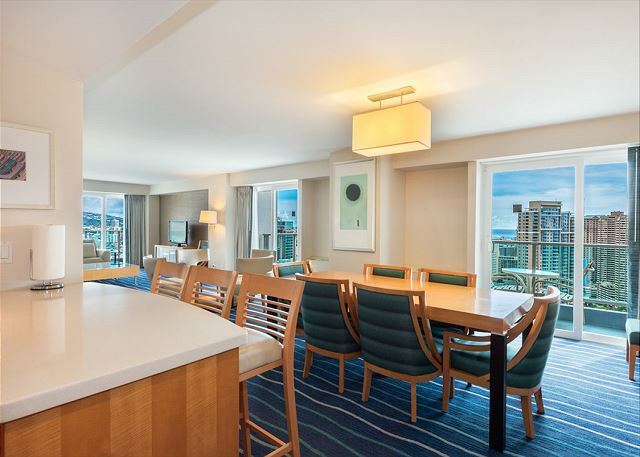 Stayed 4 nights at this 2 bedroom condo on the 33rd floor of the Ala Moana Hotel. 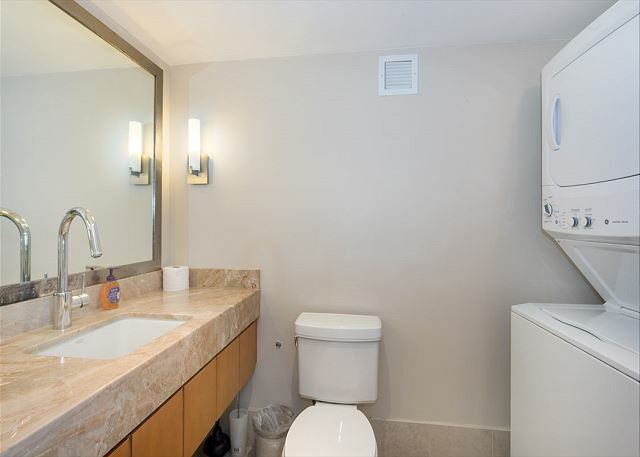 This condo is very spacious, has a full working kitchen, W/D 2.5 bathrooms and 2 bedrooms. Lots of patio/decks, 4 or 5 in all. However they were very small, just enough room for 2 chairs and a table. We really enjoyed the location, right next to the big shopping center and across the street from a park/beach. Hawaii 5-0 was recommended to us by a friend who used them several times before. We found the condo just as described on their website. We were very happy with the value we received from the condo rental. We wouldn't be able to find good hotel rooms for what we paid and the amount of space was huge for four people. This was the best accommodation I have stayed in for a long time. Situation was perfect. Apartment was extremely clean and spacious and we had 8 people in there for meals some times and there was room for all to move. Overall we were over the moon with this accommodation. 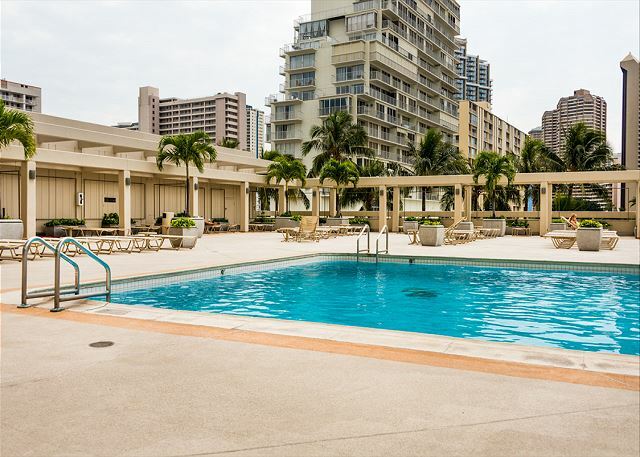 Fantastic location, a walk away from Ala Moana park and beach. Can't beat the suite. Luxury quality rooms and decor. We will definitely return. Wonderful property, good location for shopping. Loved that we were able to get late check out on our stay. It made a world of difference. Great location but unit was disappointing. We stayed 4 nights in this condo. Location was great, unit was roomy and clean with stunning views. We were however, very disappointed in the lack of information about the unit. There was no booklet or anything with info about the unit or area, or amenities. We have stayed in rentals all over the world and never faced such a lack of information upon arrival. The sofa, while clean and nice looking, was very uncomfortable. A big disappointment was the fact that the washing machine was broken. We only found this out after we had a load of wash in and when we took it out it had dissolved detergent smeared all over it and only half of it was even wet. There were no instructions on how to operate the 3 different remotes for the tv in the living room. The reception was good on the living room tv but the bedrooms had poor reception, no cable box, and very small tv. That being said, I would recommend this location to a friend but probably not this specific unit. If the owners put a little more thought into the comfort and enjoyment of the stay it would make a huge difference. We came away with the impression they only care about the income the guests generate and not much else. Overall, not a good value for the price. 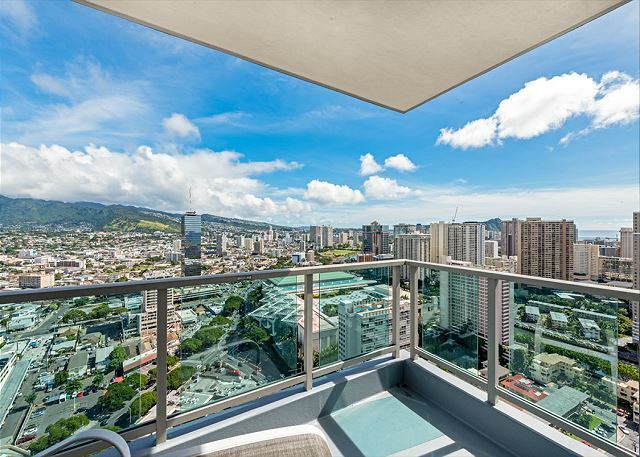 Beautiful property with stunning views and perfect location next to the Ala Moana Shopping Center. Lovely, friendly staffs. Very nice and clean place. Great views. 5 to 10 mins walk to beaches. Really Close to shopping center. We would be back again! Pro: It is a modern apartment. Nice view from several balconies. Large living room and dining table are plus for my family (6 adults). Rental agent is responsive. Con: The property is privately owned and hotel won't provide any service when I find that there is no program in the TV (We didn't watch TV during our stay at all) and some lights are not able to switch on. The kitchen is OK for having a breakfast but doesn't have enough stuff for cooking dinner. I didn't call the agent for fixing the problems (TV and Lights) since we are busy to going out. We have stayed at this suite before and have only good things to say about it. Hawaii50 Vacation Rentals takes really good care of their customers and we highly recommend them. Pros: convenient location. The beach is just across the street. Mall can be accessed through 2nd floor. Lots of Restaurants in the area. Cons: it is noisy as Ala Moana blvd is a Main Street. If you prefer quieter place, this is not a good location. The apartment is very clean. We had plumbing problem with the kitchen sink and dishwasher. The sink was fixed but not the dishwasher. In some days it was very hard to find a parking spot at the parking down. Overall it is a good place to stay. 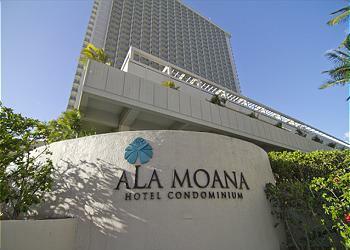 We had a very enjoyable stay at the Ala Moana Hotel. The apartment was very spacious with all the features you could ask for. The only down points were the TV setup in the lounge and the slow service at reception. Otherwise we had a great stay! We enjoyed staying at this lovely spacious condo for 4 nights. The panoramic views from the 33rd floor from multiple rooms were remarkable. The unit was immaculate and functioned well for our party of 6 (4 adults and 2 kids). 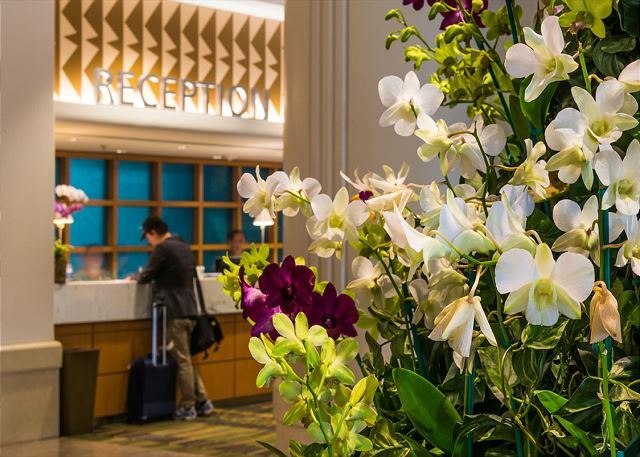 Easy check-in and check-out at front desk (no contact with mgmt. co.) This unit is adjacent to the Ala Moana Mall. Kitchen is basic, but great for breakfast. 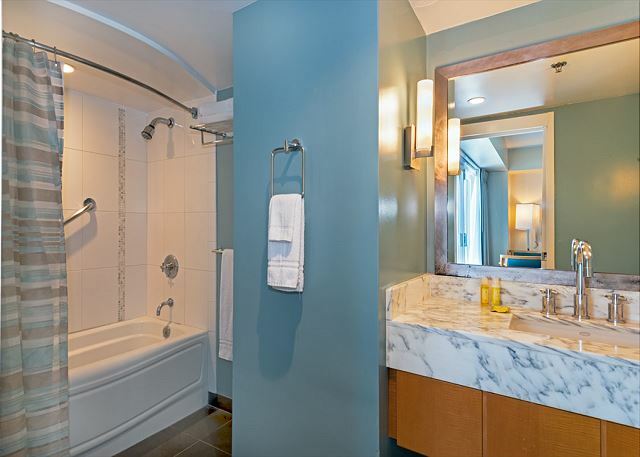 Be aware that there are no walk in showers (only 2 very deep tub/shower combo's + 1/2 bath). Bedroom closets were unavailable for renter's clothes since they were filled with other items (TV's, etc.). One exterior dining table was missing it's glass top. The only annoying issue we had was that the management co. did not respond to a call for assistance in enabling our usage of the TV in the living area (bedroom TV's worked). The problem was not our lack of technical knowledge; one member 0f our party is technical director for NBC. Generally, it's a nice place to stay. It's too bad that the management co. needs a service wake-up call. Nice place. See my TripAdvisor review and photos. The entire process went smoothly and I was pleased with everything from the initial contact through to the checkout. The pictures of the unit do not do it justice! If I am ever in Honolulu again I would love to stay here again. 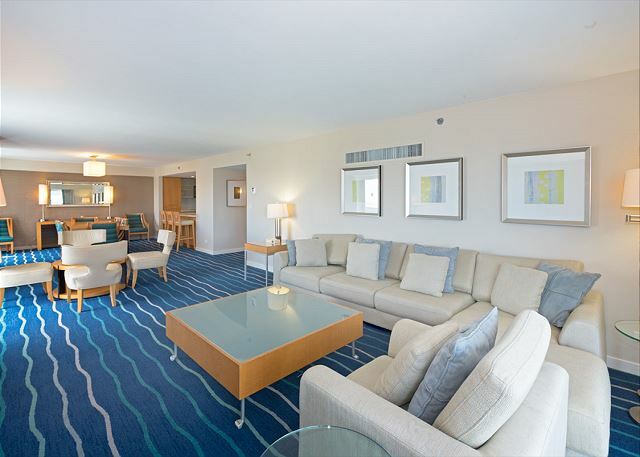 Suite was very clean and spacious, perfect for my family and in-laws. Being adjacent to the Ala Moana mall was ideal for grocery shopping and dining. Although there were a couple of small issues, the management company was very responsive and always answered my calls in a timely manner. My parents came from Japan and we stayed here together. When they arrived this room, they were so exciting and said it is really like a heaven because gorgeous ocean view, huge space, perfect kitchen, and nice breath from all rooms. Hot water was also perfect and there were plenty towels. But there are not shampoo and body soap so you need bring them. I am recommend this room 200% ! Walking into this unit took our breath away. It was so spacious, with multiple balconies in every room. Each balcony had seating. Being an end unit, we had views on 3 sides of the building. Both bedrooms were Master Bedrooms with comfortable beds. The third bathroom in the hall held a washer and dryer. The only recommendation would be to bring soap powder for the washer and shampoo. Soap is provided. If we weren't taking a cruise, we could have been very comfortable staying here for our whole Hawaiian vacation. Great place to stay - 4 older people in their late 50's. Accommodation is superb, the view from the 33rd floor is second to none. The 13 days (1st April - 13th April 2013)there went too quick, and having the Ala Moana Shopping Center next door with easy access via the 2nd floor, proved to be too much of a temptation for some reasonably solid and intense shopping. Great spot to use as a base for travel around the island. Only suggestion as we were from Australia, is the need for a welcome book with hints, tips and site seeing opportunities - we left a lot of our brochures behind for the next visitor. Would definitely stay again if we came back to Hawaii. We came to Waikiki for a conference so we were thrilled with the location! Shopping and restaurants right next door in the ala moana shopping center. If you want to be on the beach, you have a short walk, but not bad. 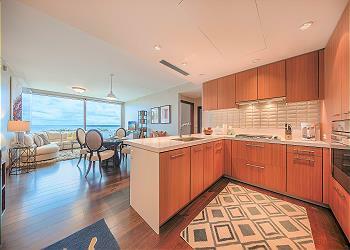 The condo was spacious and beautiful with tremendous views. We loved it and would definitely rent it again. This Suite was absolutely gorgeous. 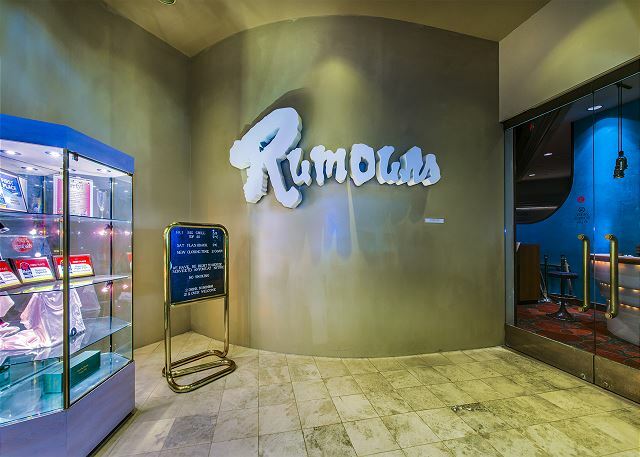 Accurate descriptions of the suite are; Modern, Premium, Upscale, and Luxury. 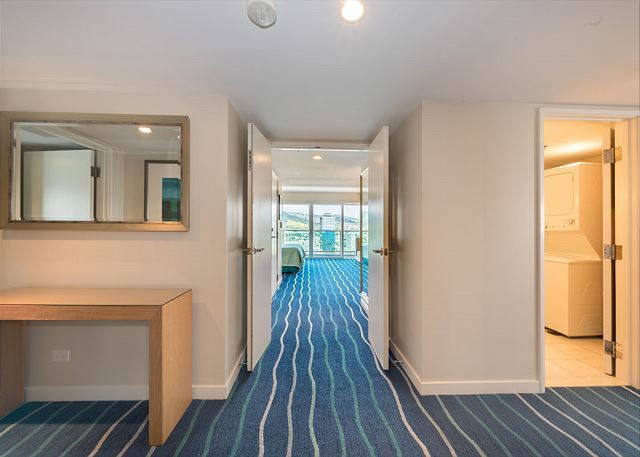 If you love being close to great amenities and shopping in between Waikiki, and Downtown, then this beautiful suite is for you! Great size suite for sharing with couples and still having privacy. Amazing views, wonderful clean linens, only glitches were no wifi, no sharp knives, and a pair of scissors would have been nice. Also would have been great to have a bar open at the pool. This was our second stay at the same property in the same suite. It was excellent; spacious, clean, perfect location near beach and shopping, beautiful views, all the needed amenities. We come every year to visit family and this place is perfect for our family with three young kids plus nanny. We intend on coming and staying here every year. Great location and stunning views. The property was in an excellent location and the room had all the amenities that you need whilst on holidays. Maintenance seems to be a problem. Great location to do everything (shopping, stroll in a park, etc). We thought we'd hit the jackpot when we arrived. The photos don't do it justice as its better in real life. We had a great stay and would rent this place again. the apartment is absolutely wonderful - location, amenities, view. It would have been nice if the kitchen added a few basics - wine bottle opener, wine glasses, some bake ware, colander, sharper knives(keep it out of the utensil drawer). The dining chairs are pretty uncomfortable, but everything else is wonderful. 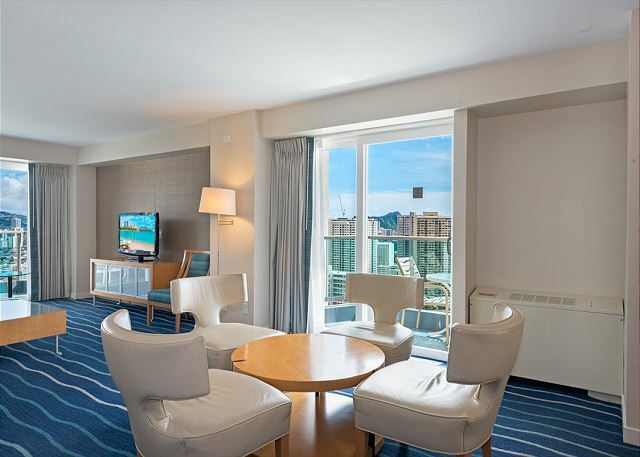 We booked the hotel with doubt because we have never been to Hawaii and it is our first time to book a renal suite (versus regular hotel booking process). It ends up we had a great stay and the suite is in great condition and good view. At the end of our trip, I asked my family how many points they want to give to this stay, we all agree 8.5 out of 10. The only deductions are the location (not directly to the beach), the hotel amenities (small pool...), not enough essential stuffs in the suite (we needed to buy soup, laundry detergent, cooking oil and shampoo by ourselves). Otherwise, everything else is nearly perfect. Our family stayed here over Thanksgiving and enjoyed being close to the mall, yet near enough to walk to restaraunts in Waikiki. well beyond expectations and website photos!!! Top notch! We recently stayed at this suite for a family wedding, 2 adults in one room, 2 adults with 3 children in another room. The check-in process was smooth and we were quickly escorted to the 33rd floor, just 3 floors shy of the top floor of the hotel. As soon as we entered the unit, we were all blown away by the cleanliness, modern equipments, the sheer size (1900 sq foot!) and of course the amazing views from the 5 lanais. 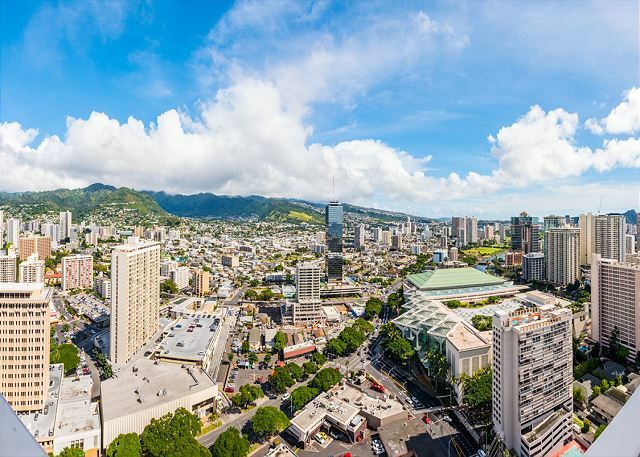 At this height, you can pretty much view everything around Waikiki. There was central a/c with easy to use control in each room, the bathrooms were all large and clean with plenty of towels, hand soaps (you have to bring your own shampoo/soap for shower). The washer/dryer combo was modern and a must have for those with family. The kitchen was also fully equipped, extremely clean, and useful. The only negative aspect is the distance from the rest of Waikiki and the parking lot, which is a bit dark and a maze to get around. Otherwise, among the 5 condos that our extended family all stayed at for the wedding, this unit was by a long shot THE best unit, hands down! My 5 girlfriends and I traveled to Hawaii for a wedding. 3 of us brought our babies and this condo was perfect for our group. 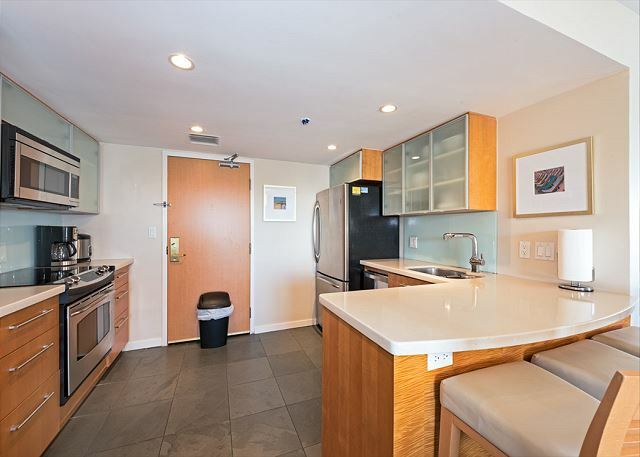 It was spacious and we took full advantage of the washer/dryer, full kitchen and the proximity to the Ala Moana mall, grocery stores and restaurants. The management company was very responsive to all of our inquiries and requests even before we arrived on the island. Waikiki was very close--our group pushed our strollers and walked all the way almost to Diamond Head and back on multiple occasions. 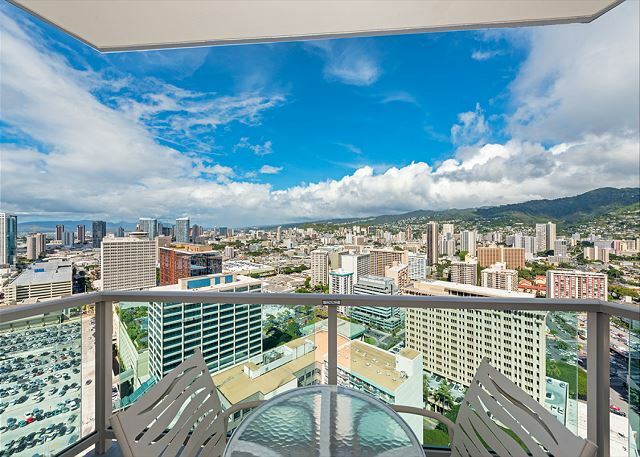 If you are looking for a spacious condo option and don't mind being off the Waikiki strip, this is the place for you!! Property excellent in all respects and very centrally located. Appreciated the large second bedroom with two queen beds! 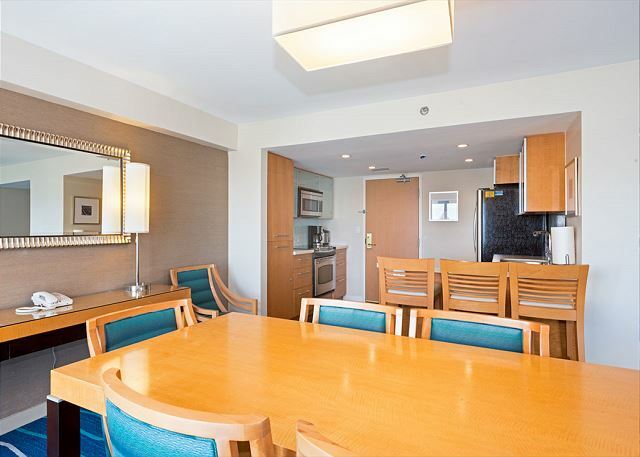 A unique unit with plenty of room, excellent views, and proximity to key sites. our entire family loved the stay. only challenge - wireless was not always working. We enjoyed our stay, the Suite was better than the photos. Plenty of room, plenty of towels. Fireworks on Friday nights can be seen from Suite - view out every window was great - north, south, east and west. We stayed with another couple and everyone had plenty of space. 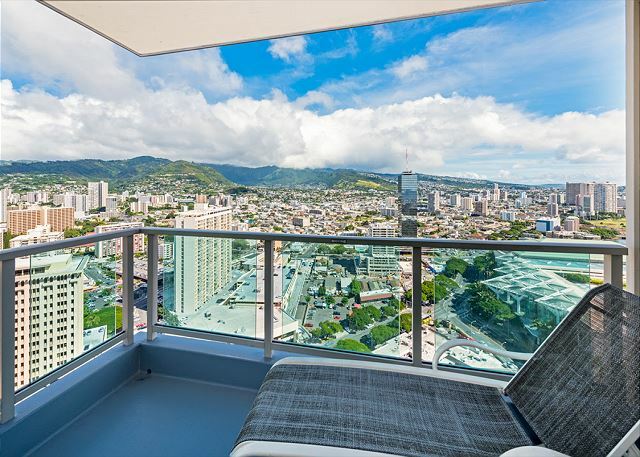 For Honolulu rental it is unbeatable. The flat is spacious and airy, the location convenient next to a mall and the view fantastic. The ugly pool is the only thing we didn't like about this property. 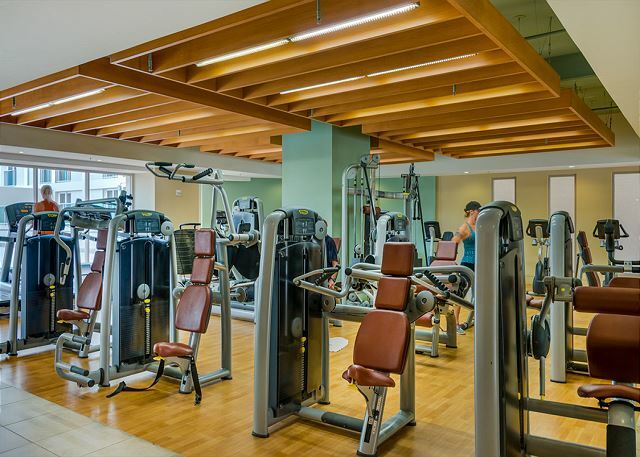 Great location, close to the convention centre and a shopping complex. 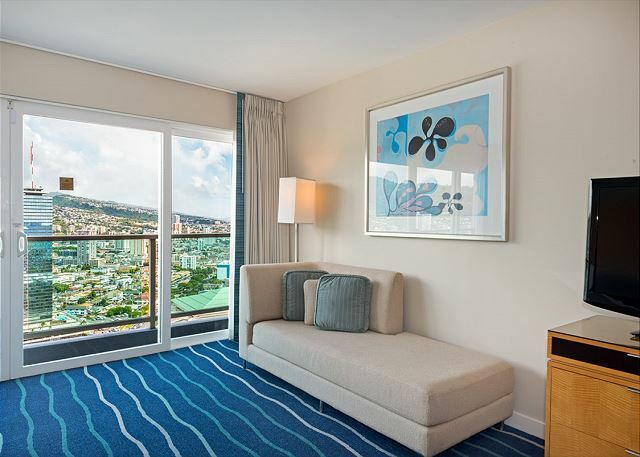 A short taxi ride to Waikiki or a 15 min walk to the main Waikiki strip. Apartment was very spacious and clean. There were 5 adults and a 10 month old in our group. It was perfect for us. The location, size, layout, and amenities were great. The washer/dryer was invaluable. We could have rented a similar condo for less money but the lack of a washer/dryer was a dealbreaker. Would definitely stay here again. We had a wonderful time staying at this condo , very clean. The view is great.we had a wonderful stay in this place. Property was excellent - would stay here again and would recommend to all - we had 5 adults in our party and eveything was great - heaps of room and had everything we needed except glasses - if you like to drink wine BYO wine glasses as its just not right drinking out of tumblers!. Use the shower in the guest bedroom if you want to wash your hair - the holder was broken in the main - no doubt that will be fixed and the place was SPOTLESS! Everything else was spectacular - location, staff, facilities - exceptional! We stayed here for a week then moved to Waikiki to a hotel for our last few days - glad we tried both - next time its 3326 for the entire trip! We walked to Waikiki most days caught a cab just once as we were running late to meet friends. And Hawaii ahhh, awesome one day, spectacular the next. We had very good time. Everything was beyond our expectations. This condo is top of the line and needs to further details. Hawaii 50 Vacations Rentals is an extremely well run company with total focus on customer satisfaction. I stayed here for 9 nights with my husband, 2 year old son, and my parents, and it was wonderful - spacious, clean, nice views! Location was so convenient - walked to the mall/beach daily and could stock the kitchen from nearby stores. We hosted a few dinners for 12+ people with no issue. We had a couple clogged drains, but maintenance showed up the same day we called it in and fixed them quickly. Our only complaint was that we had a few small items stolen from our car that was parked in the hotel garage - navigation stand/navigation cord/magazine. They weren't valuable, but I recommend not to keep ANYTHING in the car. I planned a vacation with my wife where we could take our young child so we decided on Hawaii. We went together with my in-laws so a large apartment with sufficient space was very convenient. We arrived and the place was immaculate -- also had soap and toilet paper available in all places you'd expect. The views are cool - we even saw the New Year's fireworks from the Lanai in the living room. The kitchen and laundry machines in the apartment were great since we had to prepare baby food and clean lot's of clothes. A couple of small things would have been nice - some instructions on how to turn on the TV (there were 4 remotes and two of them just messed up the TV). Also, even though there was a cable modem, there was no wireless connection and I couldn't find an ethernet cable so I ended up buying one at the grocery store and then left it in the apartment. Overall a much better value than getting two separate rooms in a nice hotel. Also the front desk at the Ala Moana was pretty helpful with restaurant and activities recommendations. 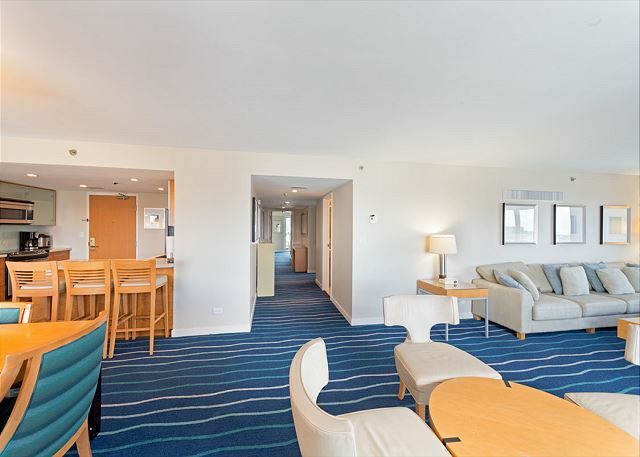 We stayed in suite 3326 for 8 nights while attending a conference at the Hawaii Convention Center with our two year old and our nanny. The walk from the front of the facility to the convention center was about 5 min. (1/2 block). The walk to one of the best toddler-friendly beaches on Oahu was about 10 min., with toddle in tow. The suite was extremely spacious. The kitchen was well apportioned. Overall, a great place to stay. The condo was fabulous it is very spacious, clean and has all the comforts of home. Having a full kitchen and insuite washer and dryer was a huge bonus. We had some friends staying right in Waikiki so we managed to put together a Thanksgiving dinner for 8 of us and were able to all sit around the dining room table and enjoy dinner. There was 2 couples staying in the condo and we each had our own master suite. The beds were wonderful and the view from each room was great. Although our friends had been to Hawaii previously it was our first trip and we love it. Honolulu on High- great place! Loved this giant condo- views in about every direction. 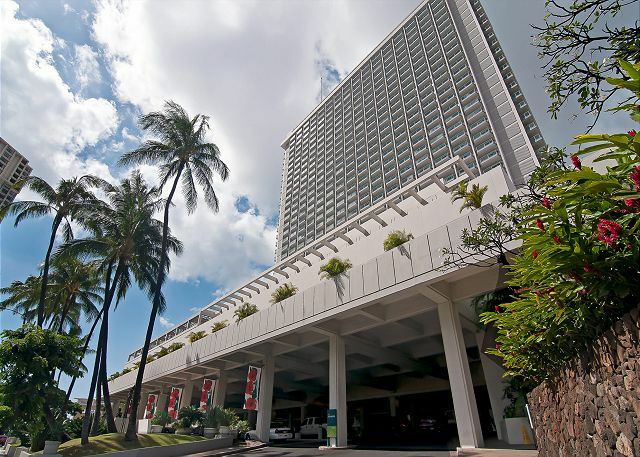 Centrally located- could walk to convention center- yet could also cross the street to Ala Moana Park, beach. Having the shopping plaza next door was also a plus. Will certainly stay here again. The two unit flat is massive, and we had lots of room for our week of stay. Mahalo to Bruce at H5O for going beyond the call of duty to replace some lamps in the bathroom. Place was immaculate. I was satisfied with the overall condition of the unit however the unit had alot of items missing, the DVD was missing, the Kitchen was not stocked with kitchen items like serving plates, roaster, blender, good knives, garbage can, all of which had to be requested but was provided the next day. Dishwasher was not working properly, never did get this resolved and never received a call back from the rental agency about this issue. Beds were lumpy and pillows were very poor quality which caused issues with our backs, bought new pillows but because the beds were bad, caused back issues for 3 of the 4 adult guests. *No extra toilet paper or paper towels were available. *Only 1 extra trash bag was available per trash bin. *For any requests, I had to call the Hawaii 50 Vacation rental, and wait for the office to open, call me back then had to wait for someone to come and service what was needed to be done. *Double door to master bedroom did not close or lock. *Had to dispose of our own trash. *When I called Hawaii 50 Vacation rental and housekeeping regarding toilet paper and paper towels, I was informed only then that we needed to provide our own toilet paper. This should have been stated in the contract. * There was a ironing board and a iron holder, but there was no iron. A iron was delivered later in the day, but was delivered AFTER my meeting. Overall I was very happy with the room. It was clean, comfortable, in great condition, and in a very convenient location for myself and my group. My suggestions would be to provide a few key items that were missing: broom, mop and bucket, iron and board, stereo/ipod player and possibly larger trash cans. The key handling with the hotel was cumbersome as well. If a key was not working then all 6 keys that were checked out needed to all be changed in. which was a big pain as several keys stopped working. But the room was what I was looking for and the condition and layout was well represented in your advertisement. I needed an iron and was unable to get one after several phone calls to various people. I had assumed the property would have one and was surprised that no one could provide an iron for our week stay. 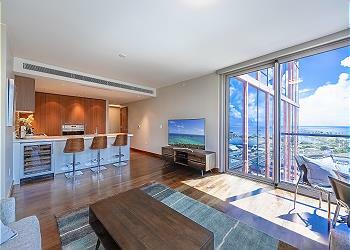 Lovely condo with expansive space that offered differnt vistas from the 5 lanais. Although not directly on the Waikiki Beachfront, it was an easy 15 minute walk away or if you preferred quieter beaches, the Beach Park was across the street. Loved the shopping mall across the way. Would be happy to recommend to friends/family and would stay there again. Beautiful Room - Lots of space! The room was great! Very spacious and clean. The full kitchen and washer/dryer were wonderful to have. 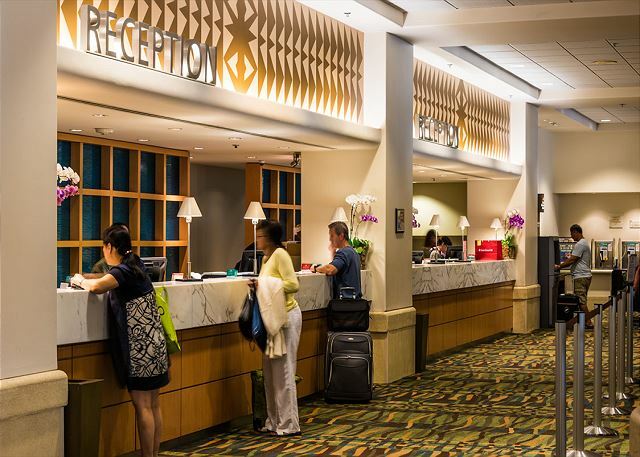 Everyone we worked w/from the rental agents to staff at the Ala Moana Hotel were wonderful. We did encounter a few problems - the internet connection was wired and didn't work at first - we needed to have the hotel call the cable company. There was no DVD player in the room which we would have liked. The pool had no night swimming - it closed at sunset which was a disappointment.